Working together, so others may live. 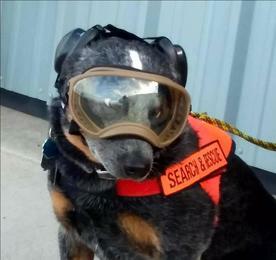 Elkhorn Search & Rescue (ESAR) is a volunteer non-profit organization serving Jefferson County, Montana. ESAR operates under the direction of the Jefferson County Sheriff's Office (JCSO) in Boulder, Montana. ESAR's base of operations is located in ﻿Clancy, MT, and our all-volunteer team is capable of responding to emergencies such as lost hunters and wilderness injuries. We utilize dog tracking teams, steep bank rescue teams, ATVs and snowmobile rescue and provide assistance during natural disasters such as forest fires. ESAR also provides mutual aid to surrounding counties when requested. ​Thank you to the voters of Jefferson County for approving our mill levy request! Legend is ready to fly!